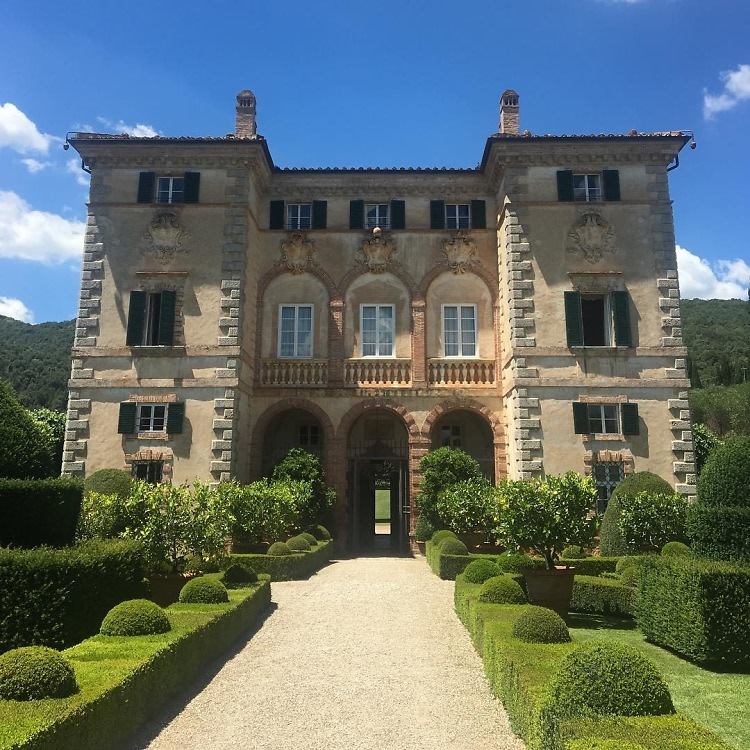 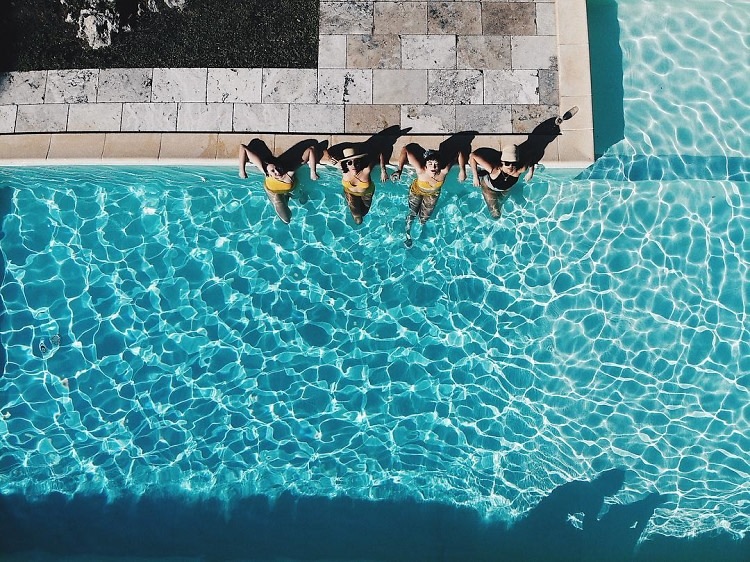 Like some summertime scene straight out of a Slim Aarons photograph, the world’s most well-to-do gathered this week at an idyllic Tuscan villa for the annual Fourth of July bash hosted by Rosetta Getty and her billionaire-heir husband Balthazar. 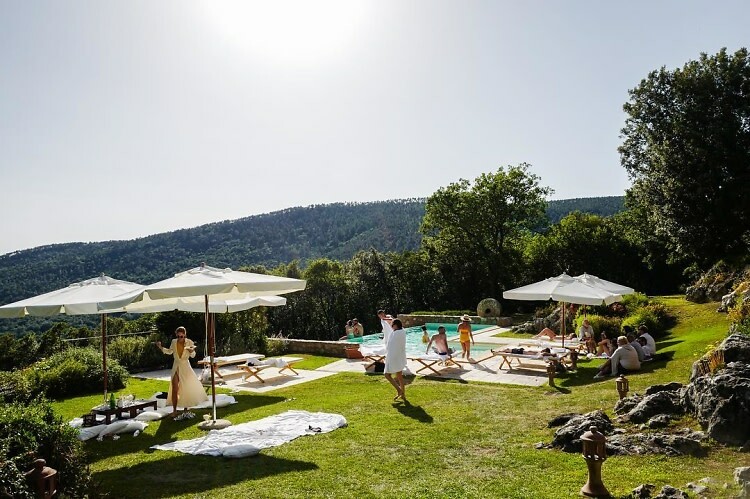 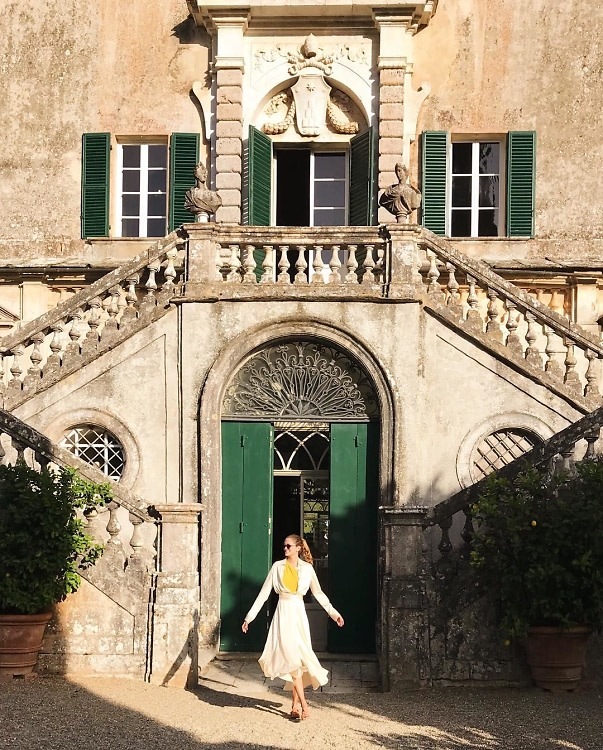 Fashion insiders, celebrities, and international It Girls, from Elizabeth Olsen and Sofia Sanchez de Betak to Mia Moretti and Kardashian Krew members Jen Atkin and Stephanie Shepherd, lounged poolside under the Italian sun at the historic Villa Cetinale, a sprawling, 17th-century estate in Siena. 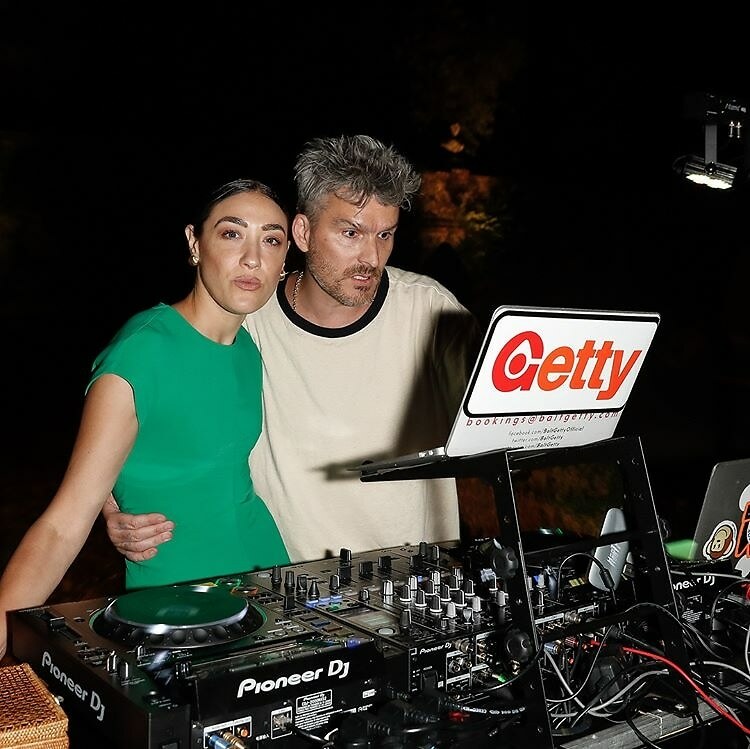 Coinciding with the Palio, one of the oldest horse races in Europe, the Getty’s yearly fete marries the American holiday with old-world tradition. 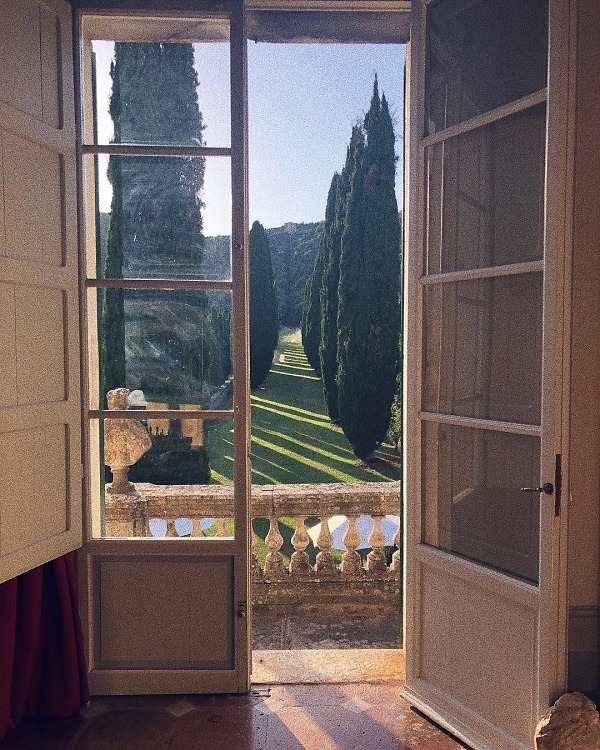 “[The Palio] is a big deal to the Sienese, and thousands upon thousands of people crowd into the Piazza del Campo to watch not just the race, but also the procession before it, where the neighborhoods—the contrade—march out with drums and flags and men in armor as precisely as they have since the Middle Ages,” explains Rosetta in Vogue. 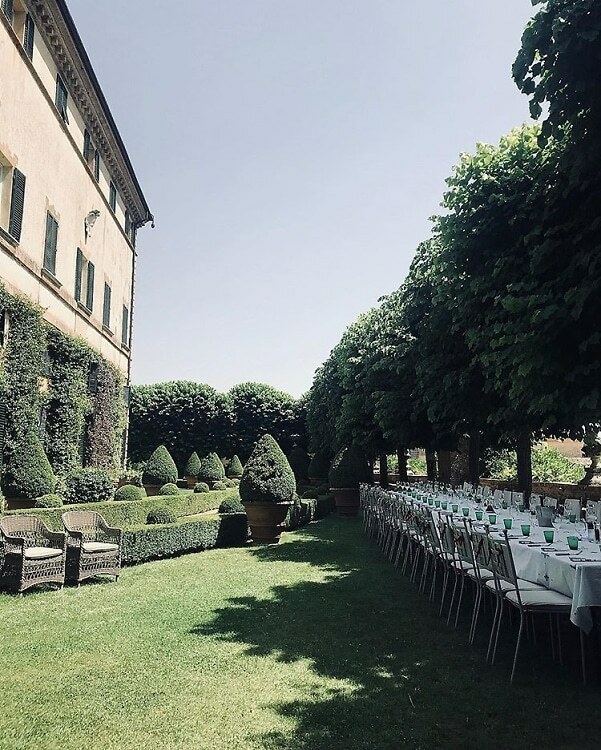 But between all the excitement, long, languid lunches of pasta and fresh fare awaited their guests, as well as poolside sunbathing and walks through the gorgeous gardens. 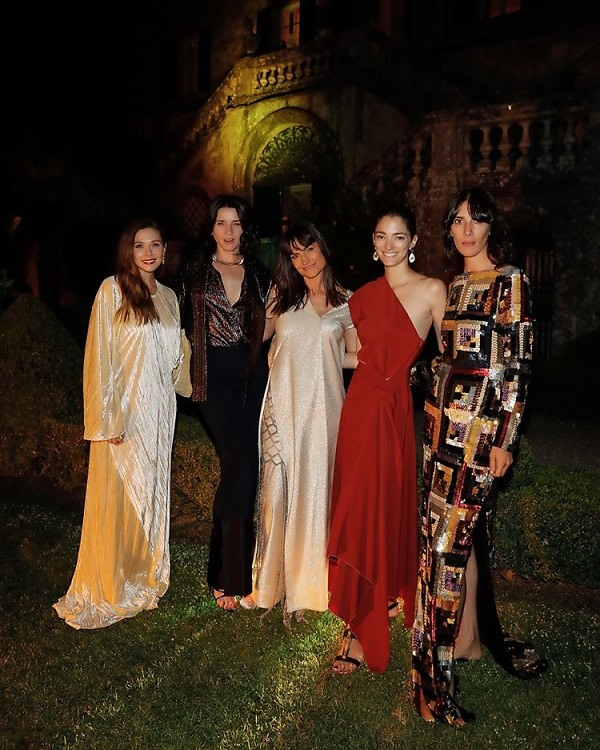 Of course, it couldn’t be Independence Day (for the Americans) without a show of fireworks, and indeed the weekend festivities culminated in a stunning al fresco dinner lighted by explosions in the sky.